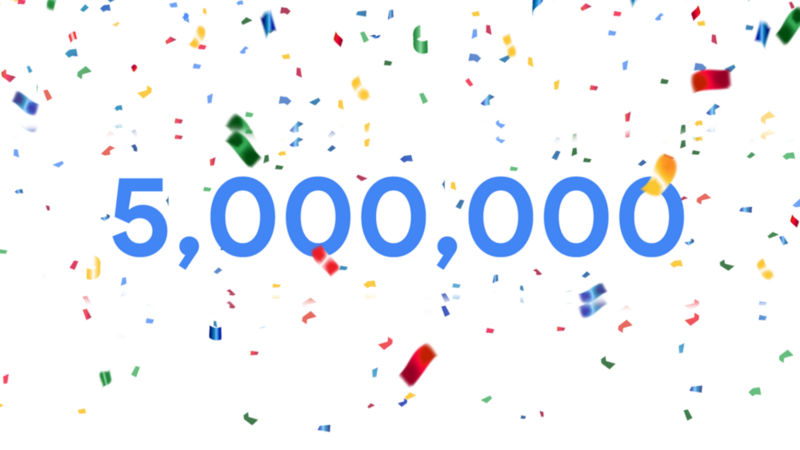 Google is happy to announce that there is now over 5 million paying business using their G Suite around the world. G Suite launched years ago under the name Google Apps and includes Google Docs, Sheets, Slides, Drive, Contacts, Mail all wrapped up into a nice package for business to use and deploy among their employees. This software suite also allows businesses to collaborate easier among employees thanks to the tight integration of all the G Suite applications. G Suite for business starts at just $10 a month per user and includes 1TB of storage for each user.